If you haven't been already, the Butterflies Are Blooming exhibition at Fredrick Meijer Gardens is a must see! You've got now through April 30th to see the largest (temporary) tropical butterfly exhibit in the nation showcasing 50 different species from around the world. Over the course of 2 months the exhibit will 'bloom' 7,000 butterflies! We've made it an annual tradition and with the activities they organize for the family friendly member events (face painting, arts and crafts, cookies and juice, live music) it makes for the perfect family night out. We are big fans. For the last week and a half the NCAA Basketball Tournament has taken some of our free time and attention. Each year Jeff and his high school buddies get together and binge on the games (we're talking multiple screen set ups), plus beer and pizza. The friendships and tradition they share is envious, the hangovers they bring home are not. But the 'Madness' hasn't ended with just Jeff, me and the kids have also gotten into the fun as well. Last week we headed downtown to Peppinos (great downtown spot with kids) for a community event hosted by 616 Homes. There was more pizza (and beer) as well as a 616 Homes sponsored bracket pool. Pretty sure I'm not going to win - I had Arizona winning it all. Spoiler alert, they already lost. On Saturday we doubled down on our Madness efforts (both in terms of the basketball and the amount of kids we had there)and joined friends in Hudsonville for an entire day of basketball, snacks and some St. Patty's Day fun. I would be a liar if I told you I lasted the entire Michigan game (full disclosure, I fell asleep in the first quarter - day drinking is hard) but you better believe Jeff replayed the final shot for me while brushing our teeth before bed later. More than once. He was thrilled. Go Blue. Our highlight two weekends ago was date night at Broadway Grand Rapids to see The Bodyguard. Oh my soul was it phenomenal. The story is based on super star Whitney Houston who was played by Deborah Cox - a Canadian R&B singer (did some googling there). She was incredible. Because the story is about a performing artist it made half the show feel like a concert with complete show choreography, lights and of course the the Whitney Houston greatest hits. I soaked up every minute. 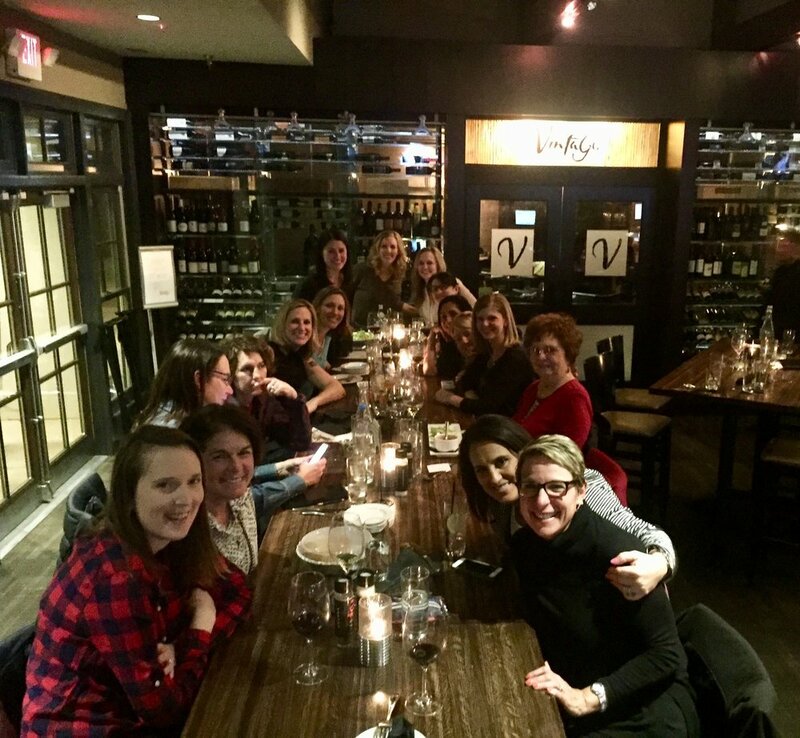 Earlier that week I headed out to Watermark for dinner and drinks with the Women's League. It's always a casual fun time and great for scheming about our summer golf plans together. We just scheduled our Spring Mixer for Wednesday April 18th and if you're at all interested in joining, this is the event to be at. It's meant for socializing and getting all the information you need to know about golfing with us at Watermark. Join us! This month we also dined out with neighbors for our monthly supper club, this time at Citizen - a new place north of downtown in the up and coming Creston Neighborhood. It has a super fun atmosphere and is best described as a tiki bar. They serve fun drinks in full on real pineapples and goblets shaped like whales. The gents ordered a Tiki Bowl to share (literally a bowl of alcohol) that came lit on fire with straws so long you could sip from 2 feet away. It was a hoot. 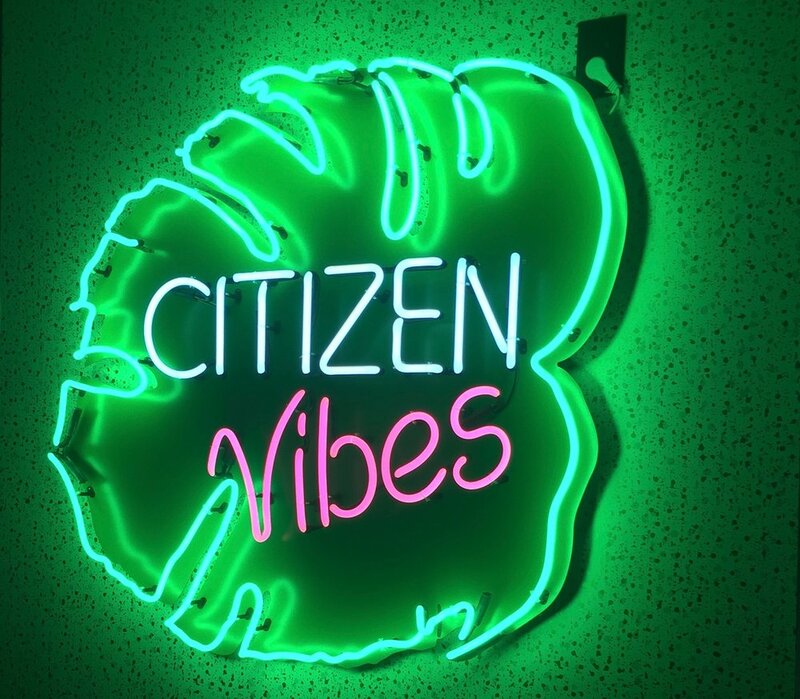 I would recommend Citizen for a group of ladies out for a night of fun and if GR had a 'most instagrammable' restaurants list, this place would certainly make it! We shook things up at church this week and attended two night services in place of our usual Sunday morning routine. Each Sunday in March, Mars Hill committed to experimenting with evening services off site at the Women's Literary Club. The services are geared towards those who live and/or are committed to the heart of our city. Jeff and I are always up for trying new things especially if it means cutting our commit time in half. However, after two weeks of 5pm logistical disruption and missing our usual Sunday morning routine, we returned to our normal grey chairs in the shed last weekend. 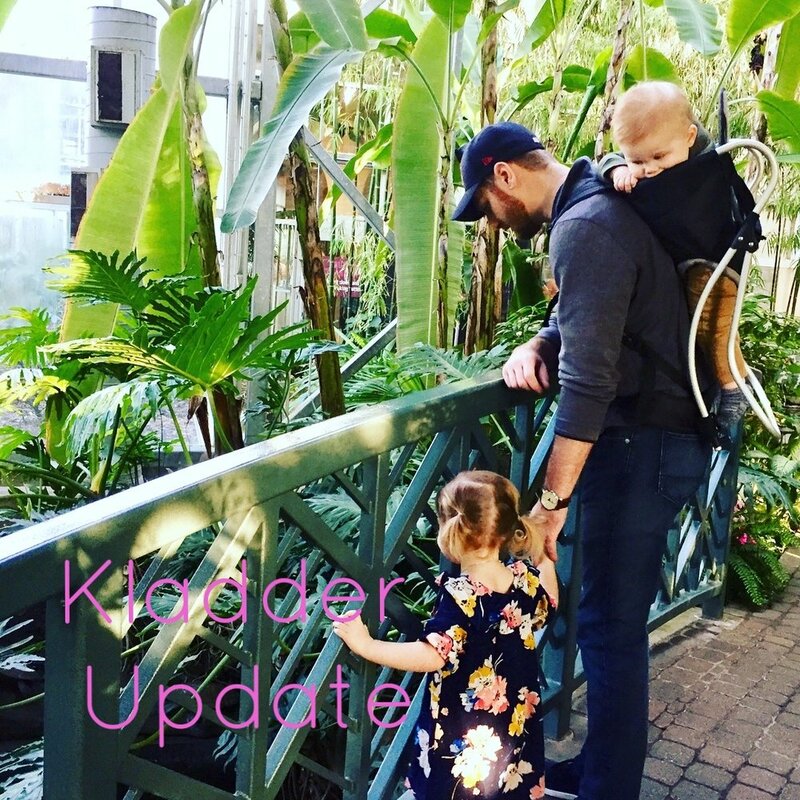 Looking ahead, it's going to be an action-packed, fun-filled next few weeks: we've got Thomas' first birthday party, our Easter celebration and a fun adults only trip to Chicago! As my Dad would say, "It's just one fun thing after another." Have a great rest of your week everyone. The Dailey Method - Last spring I hosted a class for friends as a brand ambassador and hadn't been back for a full class since. I returned two weeks ago and I'm hooked! Swim Lessons at Wealthy Pool - Natalie has thoroughly enjoyed intro to swim this winter. If you're looking for a great, local place to kick off the summer water fun we recommend starting here. The Peace & Toil / Freshly Squeezed Pop Up! If we weren't out of town this weekend, we'd see you there! Visit the Peace & Toil Pop Up this Saturday! !